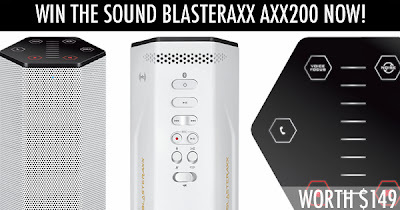 Nothing But Creative: Creative introduces new Sound BlasterAxx AXX 200 portable wireless Bluetooth speaker with all the features you can ever think of ... well, almost. Creative introduces new Sound BlasterAxx AXX 200 portable wireless Bluetooth speaker with all the features you can ever think of ... well, almost. 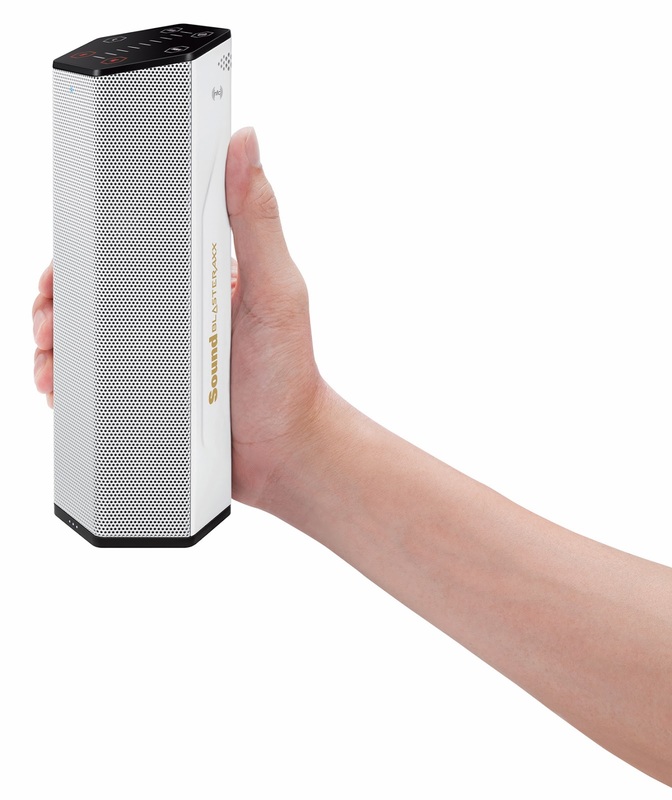 Creative today introduces its 2nd generation of its Sound BlasterAxx speaker series - the Sound BlasterAxx AXX 200. Despite the moderate success of the previous generation, Creative believes that the new AXX 200 is the gamer changer that would "radically transform the wireless speaker market". 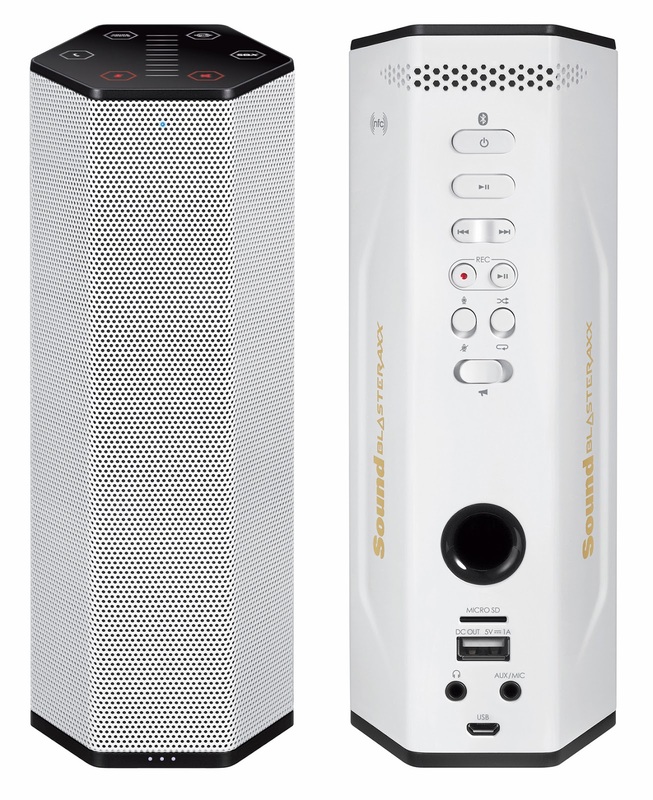 Powered by the SB-AXX1 audio processor (the same chip found in the Sound Blaster Z-series of sound cards), the AXX 200 is a little bigger than the previous Sound BlasterAxx SBX 8 and comes with a built-in battery for portability. It also has a new grill design and a series of new features which we think are so crazy it might just work. Super loud siren: for ... emergency use? One of the most attractive point of the AXX 200 is of course the price. With the recommended retail price at $299.99, Creative is currently selling the AXX 200 at only U$149.99. The mini Jambox and Logitech Boom are retailing at U$179.99 with a similar size Bose Soundlink Mini going at U$199.99. The AXX 200 has wayyy more features with a really sleek design that is a departure from Creative's usual black, solemn design for its speakers. this is a game changer and a killer. but it depends on how creative and her supporters market it. if you have a really useful and good product and you market it well, the sales can skyrocket as soon as next quarter. otherwise, fail like before.